A CNAME Record maps an alias name to a true domain name. CNAME records are typically used to map the subdomains www and ftp. By default, your addon domain’s CNAME records will point to the name of a specific Doteasy server. However, you can always change this so that the addon domain points to a different server. 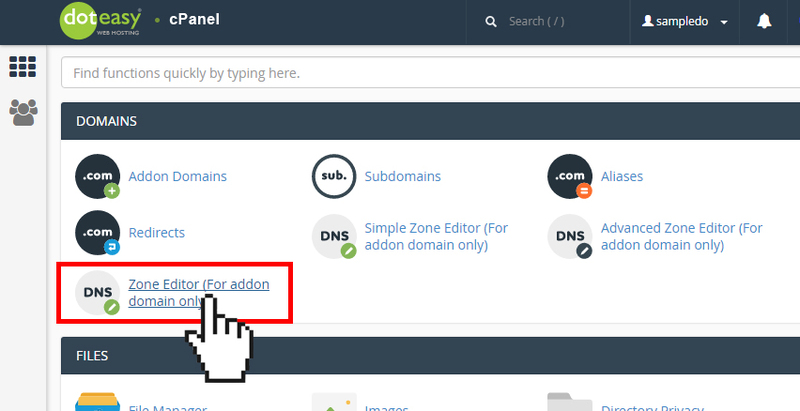 From the Domains table, locate the addon domain name you want to add a CNAME record. Click + CNAME Record from the Actions column. 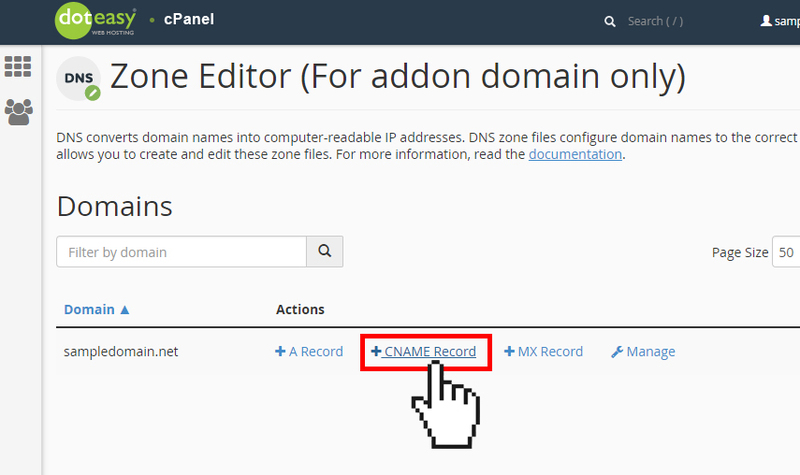 On the Add a CNAME Record window, enter the host name the CNAME records links to in the Name field. Enter the domain name that the record should resolve to in the Address field. When ready, click Add a CNAME Record.